My name is Gaynor McKernan and I’m an English-speaking Celebrant who’s passionate about life, love and laughter. 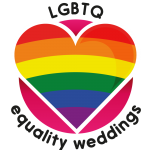 So, if you’re looking for a wedding ceremony that is romantic, relaxed, a bit squishy with a sprinkling of humour, then get on touch and I’ll create one just for you. 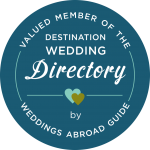 My joy as an English Celebrant/Officiant in France, is to create and conduct dream wedding ceremonies for couples who travel from all over the world to be married in romantic South West France. What a way to make a living!! Congratulations; it’s marvellous that you’re getting married and I’d love to help you celebrate. I’m a professionally trained celebrant/officiant and member of the Fellowship of Professional Celebrants. Although this is your day and what you want is paramount, I have a wealth of knowledge and experience and I’m happy to make suggestions on how to make you day super special. Although I specialise in Wedding Ceremonies in France, I also conduct Naming Ceremonies, Renewal of Vows and Funeral Ceremonies. I’ve helped lots of people celebrate their special occasions and some have been very generous with their comments and thanks. So if you want to read what they think of me, rather than me prattle on, then check out the specific page for your ceremony and see what they think. To see if I’m availabe on your date and discuss plans for your ceremony, please get in touch. I’d love to chat and find out more about your wedding plans.